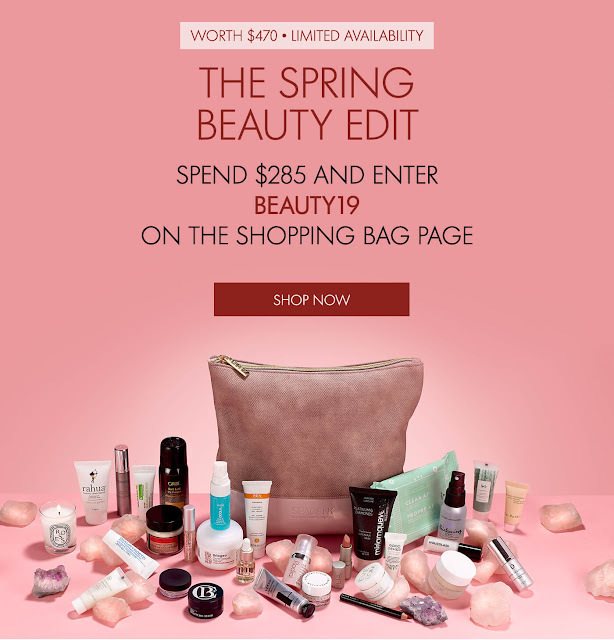 On Wednesday, February 13, 2019 Space NK will host the “Spring Beauty Edit 2019” event at all our 26 US locations (Online, in freestanding boutiques as well as Space NK inside select Bloomingdale’s). Loyal N.Dulge Members (sign up HERE) will have early access to the gift one day earlier than the general public. Diptyque Roses Scented Candle (3.4 oz): Inspired by the fragrance of the English garden in June, this scented candle is a romantic medley of roses. It elevates the mood instantly and sets a sophisticated scene for any and every occasion. Oribe Gold Lust Repair & Restore Shampoo (1oz): This shampoo has been designed to cleanse hair, bringing it back to full strength and helping to remove impurities. Made with argan, maracuja andcypress extracts, it balances the hair and scalp in order to fortify and strengthen both. Ilia Beauty Tinted Lip Conditioner in Forever (0.04 oz): Treat lips to subtle color and supreme softness with this sheer and buildable tinted lip balm. Packed with organic ingredients including cocoa butter, olive fruit oil, jasmine oil and vitamin E, it works to hydrate, replenish and soothe lips. Omorovicza Rejuvenating Night Cream (0.5 fl oz/15 ml): Treat your complexion to an overnight spa session with this indulgent moisturizer. Briogeo Don't Despair, Repair! Deep Conditioning Mask (1oz): This intensive weekly treatment helps to restore essential hydration and enhance hair’s resilience and strength with every use. Verso Hydration Serum with Niacinamide (10 ml): Reinforce skin’s protective barrier with this intense formulation, which offers lasting protection for dry skin. Clark's Botanicals Deep Moisture Mask (10ml): Infused with active ingredients, including algae extract and comfrey root, this nourishing mask will impart brighter, glowing skin, and help reduce inflammation. 111SKIN Clinical Exfoliator (0.35oz): This innovative exfoliator transforms from a gel to fluid to ensure quick and easy absorption into the skin. Rodial Pink Diamond Instant Lifting Serum Crystal (0.17): Tackle tired skin with this triple-action flash radiance serum designed to elevate facial contours, brighten features and energize the complexion. Emma Kardie Brilliant Face Oil (0.17oz): Feather-light yet brimming with nutrients, this oil comprises a blend of nine essential oils and five plant oils to help promote elasticity and deeply hydrate the complexion. Lipstick Queen Mini Altered Universe Time Warp (0.08 fl oz): Achieve out-of-this-world volume and shine with this gloss, which shifts between two shades to give a multi-dimensional effect. Crushed pearls capture and reflect light, illuminating your entire complexion. Dr. Dennis Gross Alpha Beta Exfoliating Moisturizer ( 0.13 fl oz): Intensely nourishing hyaluronic acid, squalane and ceramides provide long-lasting hydration, while the brand’s patented blend of acids promotes skin cell turnover for refined texture. Derma Institute Cellular Rejuvenating Serum (0.17 oz): An impressive roster of scientifically advanced ingredients in this serum works to improve elasticity and restore lost volume. Exclusive Fillift technology helps to boost collagen production, reduce fine lines and enhance smoothness. It's always exciting to see what they put in the bags. There are about half a dozen items that I'd want but the rest would be given away. I agree, they definitely do not disappoint! Oh, I am salivating! I would love this bag for the Diptyque Roses candle alone, but I would love and use almost every one of the items in the gift! I know just what you man, Allison! 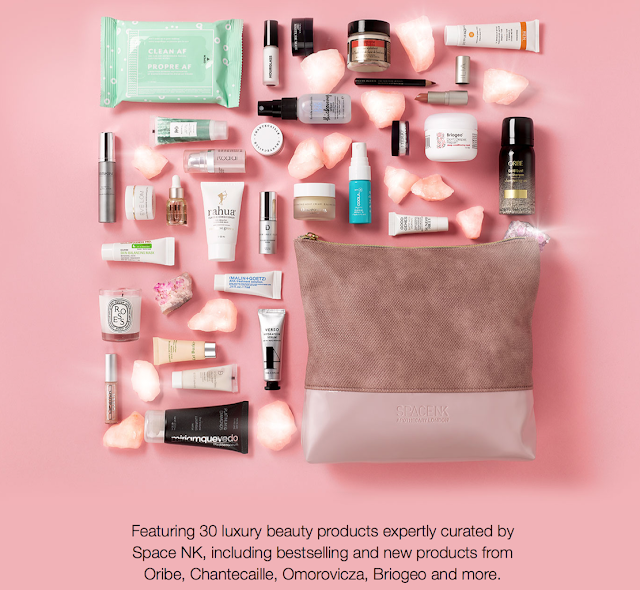 That's a fantastic GWP but $285 is too rich for me. Their gifts with purchase are always impressive, and the minimum purchase price is always around $285.00– so you really have to be able to justify that minimum purchase price. Oh my goodness! That is quite the gift with purchase! Tempting, to say the least! It definitely is a great GWP, and they are always so very tempting!